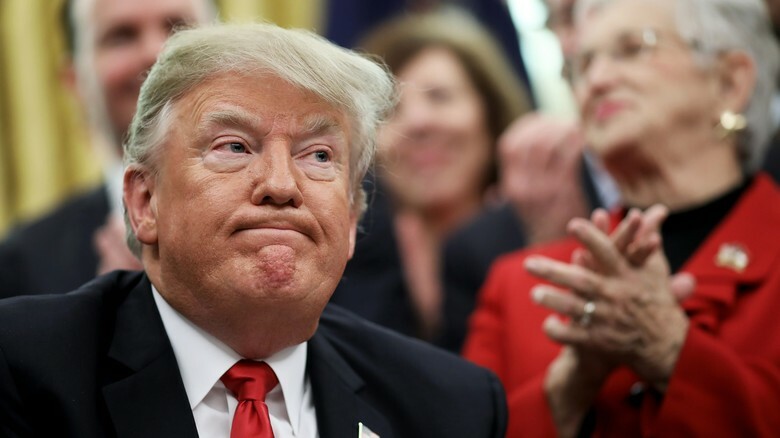 WASHINGTON– US President Donald Trump on Saturday offered to temporarily shield a million immigrants from deportation if Congress authorizes funding for his Mexican border wall -- an idea Democrats rejected, making the US government shutdown likely to grind on. These include 700,000 so-called "Dreamers," children of people who settled illegally in the United States, and who have become a favorite cause of the Democrats, as well as 300,000 other immigrants whose protected status is expiring, Trump said. The president said these concessions would "build the trust and goodwill necessary to begin real immigration reform." The president also called for $800 million in "urgent humanitarian assistance" and $805 million for drug detection technology to help secure US ports of entry. "I'm here today to break the logjam and provide Congress with a path forward to end the government shutdown and solve the crisis on the southern border," Trump said in his address. Trump describes the US-Mexico border -- for decades a magnet for migrants and asylum seekers, as well as a major drug smuggling route -- as overwhelmed, posing a threat to US national security. "His proposal is a compilation of several previously rejected initiatives, each of which is unacceptable and in total, do not represent a good faith effort to restore certainty to people's lives," said Nancy Pelosi, speaker of the House of Representatives and the face of Democratic opposition to Trump. "They are a non-starter." "Offering some protections back in exchange for the wall is not a compromise but more hostage taking," Schumer tweeted. Republican Senate Majority Leader Mitch McConnell meanwhile hailed Trump's proposal as a "bold solution to reopen the government, secure the border, and take bipartisan steps toward addressing current immigration issues," saying he planned to bring it to a vote. Trump's speech was the latest sign that both sides may slowly be grasping for a way out of an impasse that has turned into a test of brute political strength. The New York Times reported that Democrats have added more than $1 billion to their previous offer of $1.3 billion for new border security, even if that is still far short of Trump's $5.7 billion figure. The Times said roughly half the additional $1 billion being offered by Democrats would go to improve infrastructure at ports of entry, and the other half would fund 75 new immigration judges -- but with no new money for a wall. The partial government shutdown -- a disruptive political weapon almost unique to the American system -- began on December 22 and is now the longest ever. After Pelosi suggested shelving Trump's upcoming State of the Union address before Congress -- one of the key set-piece political appearances of the year -- the president abruptly revoked her right to use an air force plane for a trip to Afghanistan. Both cited difficulties caused by the shutdown as justification. On Saturday, Trump said Pelosi "is under total control of the radical left."